​The downspout installation is a very important part of Atlantis Landscaping gutter system, and providing you with the best possible services to this section of your gutters is a specialized service we do. For over 20 years we have been servicing Rhode Island with the top quality installation and repairs, specializing in the West Bay area. It doesn’t matter what are the needs of your downspout system, you can assure that Atlantis Landscaping, Inc has the right gutter & downspout services for you. In Addition, we make sure to do the best gutter cleaning with affordable rates. We use the best down spouts systems called Drain-Eze. At any given time damages can occur your downspouts, and instead of just throwing it out, we encourage you to call Atlantis Landscaping, Inc. Our gutter services will either fix your damaged downspout, or we will install a new one to make sure that your rain gutter system is properly working. When you are in need of the best gutter services and repairs in Warwick, you can trust gutter contractors that has the experience and provides excellent results. After an inspection, we will offer the best affordable recommendations for a new downspout installation, if we are not able to repair your current downspout. What are you waiting for? 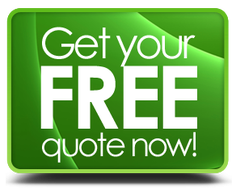 Call for your free estimate.